I realize that some of you may not be in higher ed, and don’t need to vote if you are in K-12. Perhaps you’d like to nominate another worthy techie, school or company. Feel free to do so! I just thought that EVO merits a nomination. I don’t feel like I’m voting for myself, even though I’m on the coordination team, because it’s really about the current moderators, mentors and other seasoned coordinators, and the time they devote to make it happen. Many have been giving of themselves professional for the past 10 years! Personally, my knowledge base for online learning and teaching has greatly benefited from my involvement with EVO for the past two years. I can’t think of any other organization, school or company that has provided such a fantastic menu of learning opportunities, especially for free. EVO is an open source for learning and participants need not be TESOL members to join the sessions. EVO has provided free professional development on integrating technology into the educational classroom for English language instructors worldwide for the past 11 years. It started as a special project in 1999 by the computer-assisted language learning interest section (CALL-IS) of TESOL. Last year around 1100 teachers participated in the free online training sessions that take place annually in January and February. I participated on this panel as part of the Electronic Village Online (EVO). I talked about moderating an EVO session in 2010, Internet4YoungLearners. EVO is an annual TESOL professional development session hosted by the Computer-assisted Language Learning Interest Section (CALL-IS). 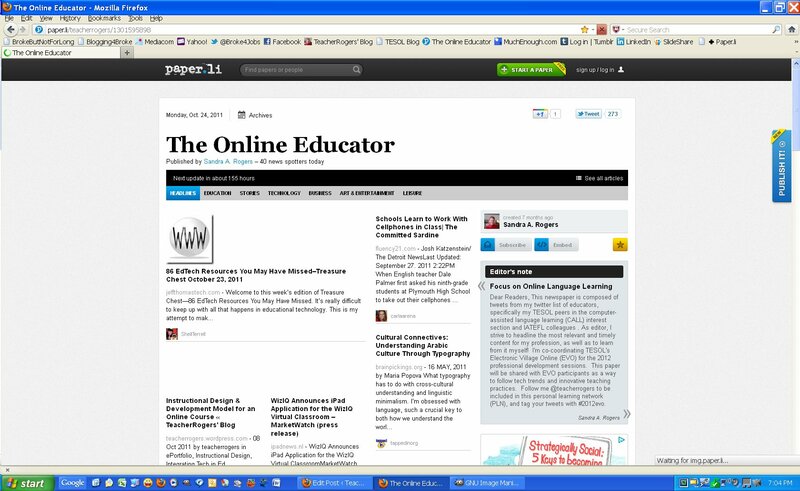 Blogging for the TESOL 2011 Convention! My humorous blog about the TESOL Rock Stars has garnered the most attention. I even had TEFL International retweet my blog with a “congrats”. I’d love to hear your feedback. 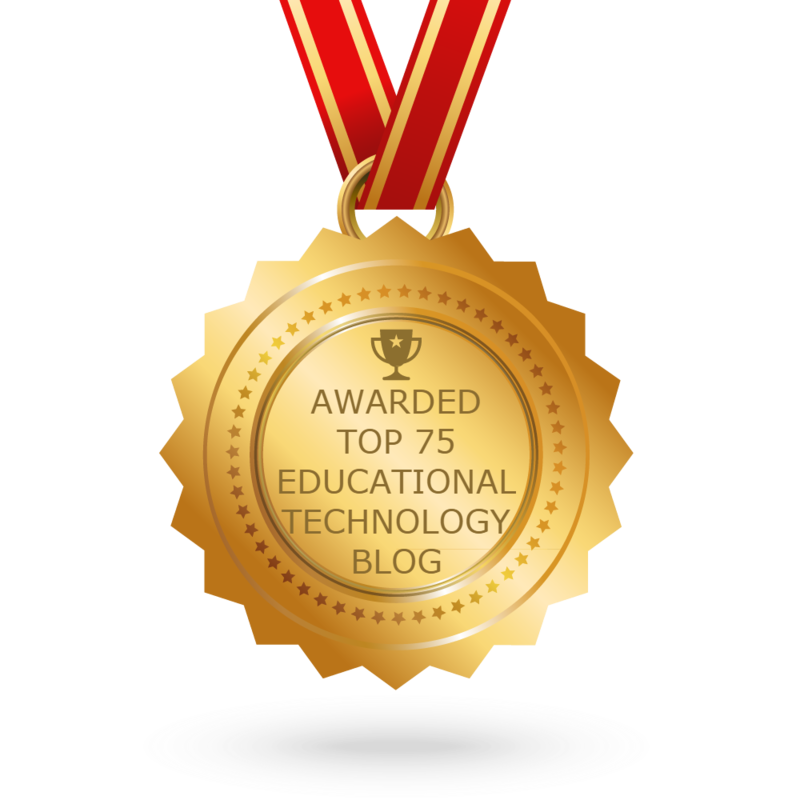 Author teacherrogersPosted on March 2, 2011 July 27, 2015 Categories Second Language AcquisitionTags EFL, ESOLLeave a comment on Blogging for the TESOL 2011 Convention! Have you ever thought about telecommuting for work or teaching online? I just completed a certificate to teach online through my profession. This yearlong course hosted by TESOL is conducted at the University of Wisconsin via online instruction. What better way to learn to teach online than taking an online course! It isn’t a very costly program. I was able to learn enough from this course to feel comfortable in taking on a new job teaching online at my university. This course served me well, as I’m excelling at my new job! Last year, I wrote about making changes, re-educating yourself for the “invisible” jobs. Trends show that online classes at universities are on the rise, according to the Chronicle of Higher Learning. This certification is for teaching English as a Second Language (ESL) which is part of my profession, Teaching English to Speakers of Other Languages (TESOL). However, it is open to anyone from any field. I was able to design my nonprofit’s website and learn about Web 2.0 tools from this certificate course. In addition, I’ve been able to get three part-time jobs online! Now, I’ve gone completely virtual teaching ESL for a company in Israel, teaching reading online for the local university, and scoring tests online. My nonprofit is wholly online, too. I’ve even become an online mentor. I started mentoring ESL instructors in Italy for TESOL and mentoring individuals looking for work for my nonprofit’s mission.